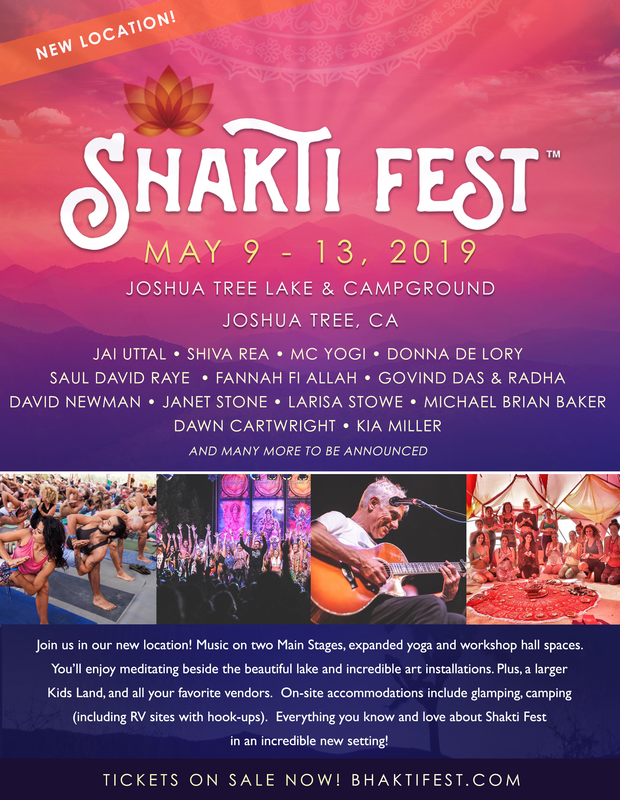 Be a part of Shakti Fest, in their beautiful new location, May 9-13, 2019, at the Joshua Tree Lake Campground. Shakti Fest is a celebration of the divine feminine that resides in us all and offers an incredible line-up of sacred music on 2 stages, premiere yoga classes and conscious workshops in the beautiful and sacred high desert setting of Joshua Tree just 2 hours east of Los Angeles. 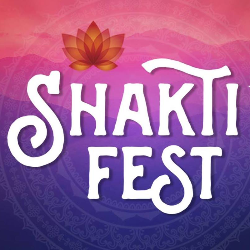 Shakti Fest is one of the few all-ages, drug and alcohol-free, vegetarian/vegan family-friendly music and yoga festivals on the circuit today. The experience also offers an awesome Kids land, Art Installations, a Sound Temple, Healing Sanctuary, Kirtan School, Sound & Dance Temples, a large array of artisan vendors and a 3-D Dome experience! Drawing inspiration from both ancient and modern sacred wisdom, this gathering is a vehicle for evolution of human consciousness through a heart-centered revolution. Your heart will burst open as you sing, dance & play and explore the divine feminine that resides us all! Bring your friends, raise your vibration and connect with our heart-centered community. Local, senior and military discounts available. Accommodations include on-site camping, RV spots with and without hookups, Cozy Trailers Glamping Yurts, Bell Tents, local hotels and AirBnBs. Learn More.